Susan Waggoner is back with another installment of nostalgic art and engaging text about the wonders of the holiday season from years gone by. 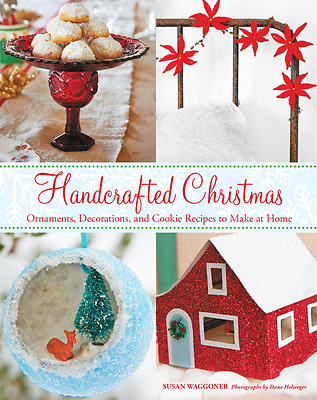 There is a wide variety of crafts for the holiday-hungry reader, such as punched tin votive holders to decorate the home, needle felted snowmen to stand in snow scenes at the window and holiday charm bracelets to wear to New Year's parties. Seasonal recipes such as Russian tea cakes, pecan tassies and chocolate sour cream drops allow readers to celebrate the twenties, thirties and forties in their kitchens.